Kanye West did it again. There is one thing that can’t be said about the marriage between Kanye and Kim Kardashian. You can’t say there isn’t any love. The couple celebrated their third anniversary on May 24. You can imagine what all went into their anniversary. Probably the most romantic dinner ever. Probably plenty of gifts shared between the two of them. Plus, plenty of fireworks. But Kanye has his signature move. He just always finds a way to make it new. Just look at their wedding photos and you’ll see the couple kissing in front of a wall of white flowers. That’s kind of Kanye’s thing and he never fails to impress her. 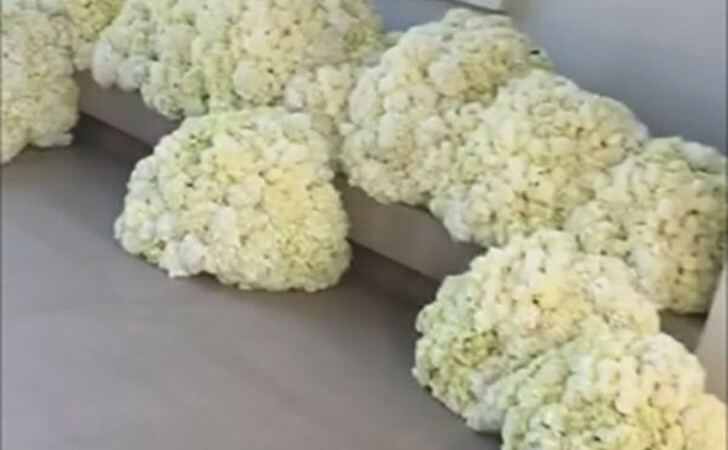 For years now, no matter if it has been Mother’s Day or whatever the occasion may be, Kanye has found a way to impress her with nice floral arrangements. Their anniversary was just like any other occasion. He brought the flowers. Kim enjoyed her anniversary. Then, she went on Snapchat to let the world know what Kanye had done for her. “I mean, how cute that I get to come home and see these gorgeous floating flowers.” They do look like they are floating. It is a unique bouquet of roses and peonies. But look a little closer. Doesn’t it look like little white furry dogs are going to jump out and start licking Kim? A whole bunch of lapdogs could easily be hidden in all those flowers and that’s the first thing I thought of when I looked at it. The next thing was how much it looked like cauliflower. For some reason, those are the thoughts that came to my mind. But the arrangement is nice. That’s the kind of thing every good woman deserves when she’s in a relationship with a great husband. 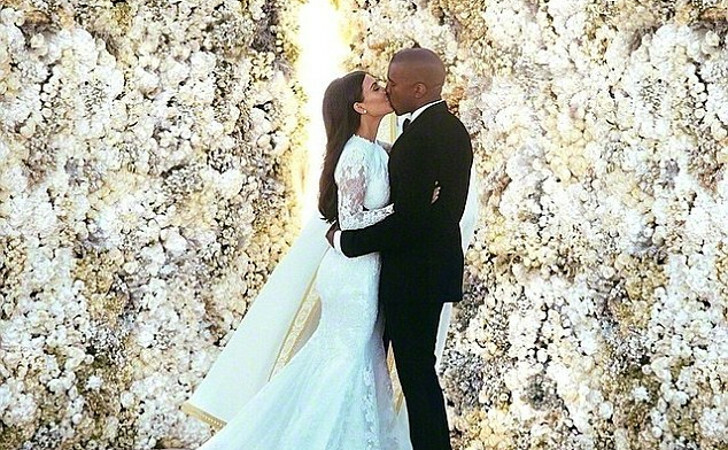 Hands down, Kanye knows what he’s doing when it comes to romancing a woman. If it weren’t for his deep pockets, men would be taking notes from him. SHARE this with your friends on FACEBOOK and give them romantic ideas!